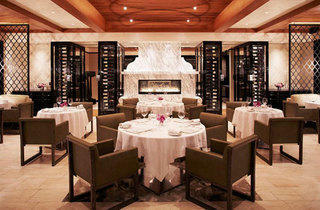 The dining room at Wolfgang Puck at the Hotel Bel-Air. Pleather mini-skirts, glow sticks and long lines not your thing? 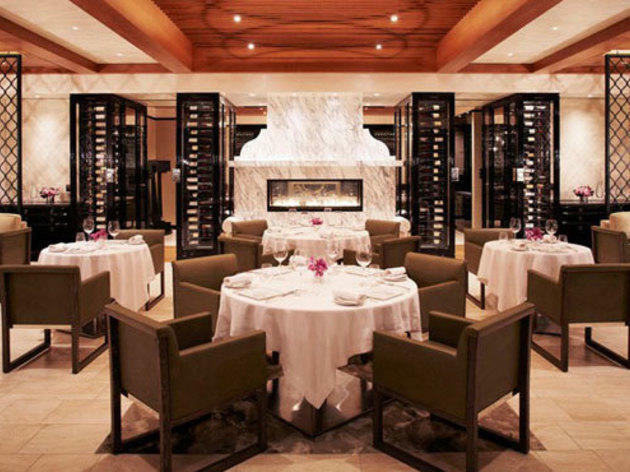 Head to Wolfgang Puck at the Hotel Bel-Air for a decadent dinner in the tucked away hotel that feels like a private hillside retreat. Get the night going early with a 5:30pm seating that includes a four-course prix-fixe menu for id="mce_marker"85 with Russian Imperial Osetra Caviar, blue fin toro tartare and Nantucket Bay scallops, hand-cut tortelloni with white truffles and a choice of Dover sole or Snake River Farms wagyu sirloin. Or settle in for the night with the second seating, starting at 9pm, and enjoy a five-course tasting menu and champagne toast for $275, which includes everything on the four-course menu. Both options offer a Columbian chocolate flan or glass apple tatin for dessert.